Animals that start with O – O is one of the most exciting letters in the alphabet. It is among the oldest letters in terms of consistency of shape, it is round and symmetrical in all directions, and it looks beautiful and sounds funny. It may even taste like a donut. There are so many objects that start with O, and if you are an animal lover, there are actually many animals that start with O. If you take a look at the list below, you will see all animals that start with O along with their short explanation. Some are funny, some are ferocious, but most of them are simply cute. Check them out. Orangutan is a native Indonesian great ape, hence its Indonesian name, which literally means the man of the jungle. Orangutan, recognizable by their reddish-brown hair, lives in rainforests in Sumatra and Kalimantan and they spend most of their time on trees. For years, it was widely accepted that there was only one single species of orangutan. 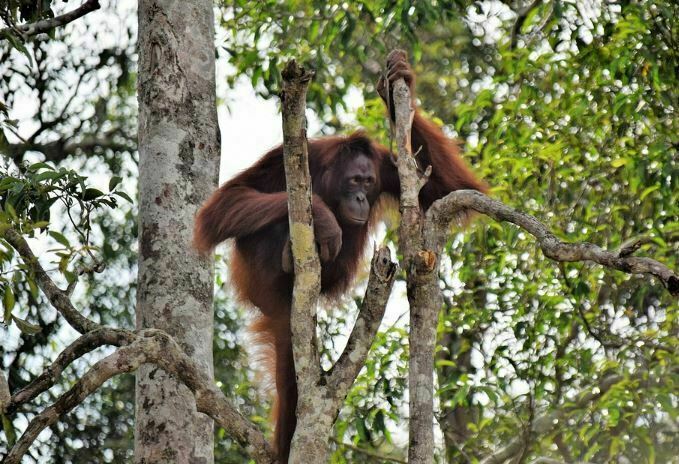 Recent discoveries and researches, however, affirm that there are actually three distinct species of orangutan: Sumatran, Bornean and Tapanuli. All of the three species are listed as critically endangered species due to human activities that threaten their existence. Owls live in all regions on earth, except Antarctica. Their survival ability is so awesome that they can actually endure the coldness of tundra regions and the heat of deserts. Owls have exceptional eyesight and of all birds, they have the most sensitive hearing. Owls are mostly inactive during daytime and go for hunting at night. Their preys range from insects to large mammals, such as foxes and deer fawns. Owls can even attack other flying animals, especially bats, when they are flying. Unlike other carnivorous birds that tear their prey apart, owls swallow the entire body and then regurgitate the indigestible parts, such as bones and feather. Okapi is the shorter sibling of giraffe that lives in the secluded rainforest in the northeastern part of the Democratic Republic of the Congo. Little is known about this animal because they prefer to hide and because their skin patterns serve as the best camouflage for rainforest dwellers. 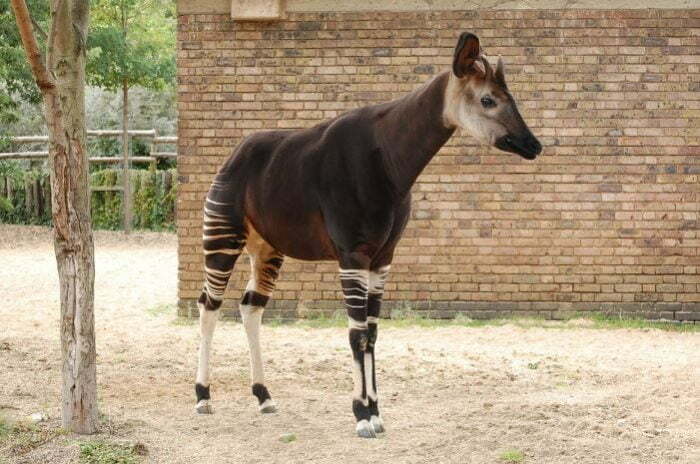 In fact, okapi was not known to exist until the start of the 20th century, when they were encountered by explorers. Just like their taller sibling, okapi also eats leaves and has all necessary digestive organs to digest leaves. 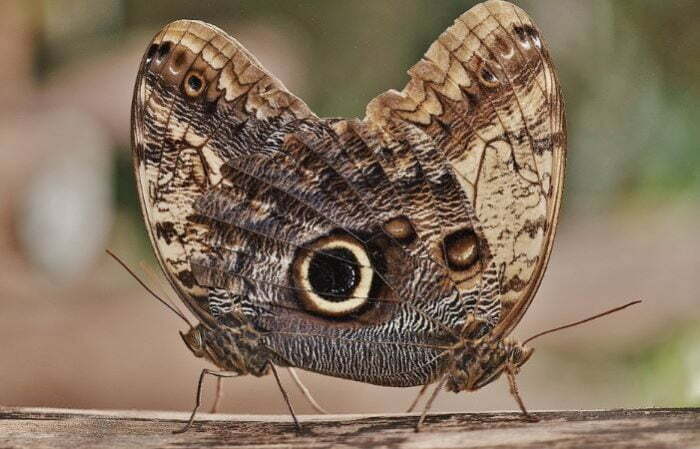 Owl butterfly has a pair of wings with pattern that resembles the eyes of an owl. This butterfly is native to South America and in the taxonomy is a member of the genus Caligo. While the majority of butterflies and moths use camouflage that effectively conceals them from the eyes of potential threats and predators. Owl butterflies protect themselves by masquerading as an owl, a bird considered terrifying due to their ability to attack both land and airborne butterfly predators (see the Owl section for more detail). Otter is a carnivorous water animal with excellent swimming and diving ability. Because they spend most of their time in or near water, they often find their den on riverbanks. To add extra protection, the den can be accessed only through an underwater entrance. They feed mostly on animals that live in their habitat, including fishes, crayfishes, frogs, and small mammals. 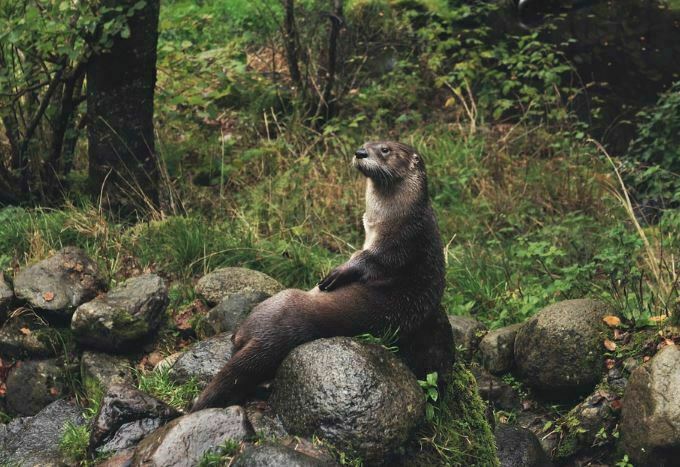 Otter is is a member of the Mustelidae (weasel) family, which also includes sea otter, the largest member of the family that lives in the coastal regions in North America and East Asia. Ostrich is the biggest bird living today that also has the biggest egg of all birds. Ostriches have wings, but they cannot fly with them. Ostriches do have powerful and agile legs that can be used for deterring threats and predators with their powerful kicks and for running. When running, an ostrich can reach the top speed of about 65 kph or 40 mph, making them one of the fastest land animals. 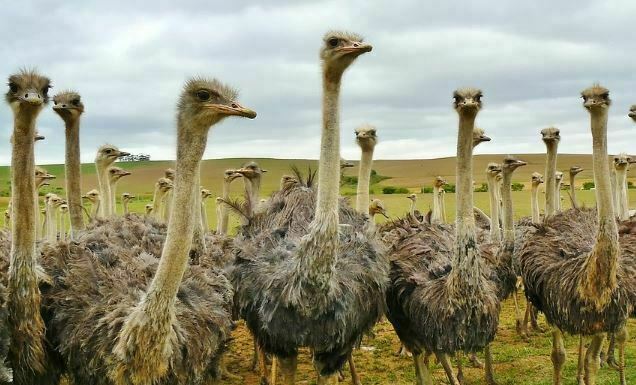 In the past, ostriches lived in many parts of the Middle East and Africa; however, today their population outside their habitat in East and Central Africa has dwindled significantly due to human activities. 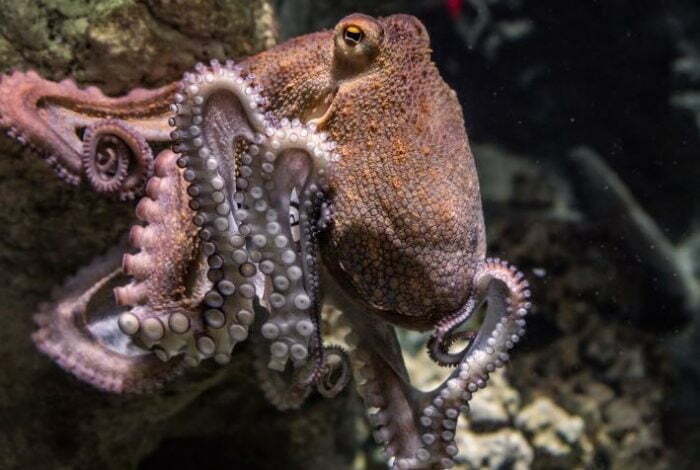 Octopus may look meek and primitive because they are sea mollusks with no skeleton; however, if observed carefully, octopus is actually a sophisticated animal with acute vision, excellent attack and defense mechanism, and well-developed brain. Octopuses hide most of the time, with some smaller species actually hiding in unused oyster’s shell. Their mimicry ability further enhances their camouflage when hiding. They will come out when they want to mate or when they are hunting for crabs and other crustaceans. When threatened, they may escape by using jets of water and sometimes also by expelling dark ink. Oriole is the name of a group of songbirds that are known for their beautiful voice and yellow and black feather. Orioles live in the warmer regions on earth, including Africa and warm regions in Asia and Europe. They go northward during the mating season and will migrate southward during colder seasons. Both male and female orioles sport yellow and black feather, but on female orioles, the color of the feather is somewhat duller. 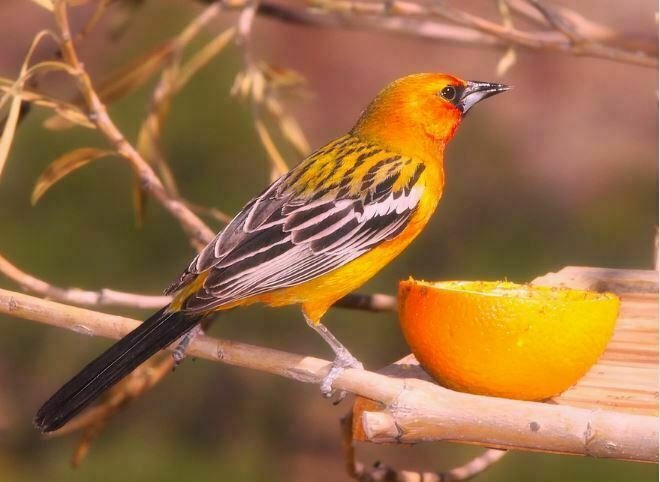 In the United States, there is another bird that is called oriole or Baltimore oriole, but this American oriole is not closely related to their Eurasian and African counterparts. Orca, also called killer whale, is perhaps the most popular whale for human because of their responsiveness when in captivity. They are distinguished by their white and black glossy body and easy to be trained to do acrobatic movements and to fetch things, making them popular attraction in zoos. 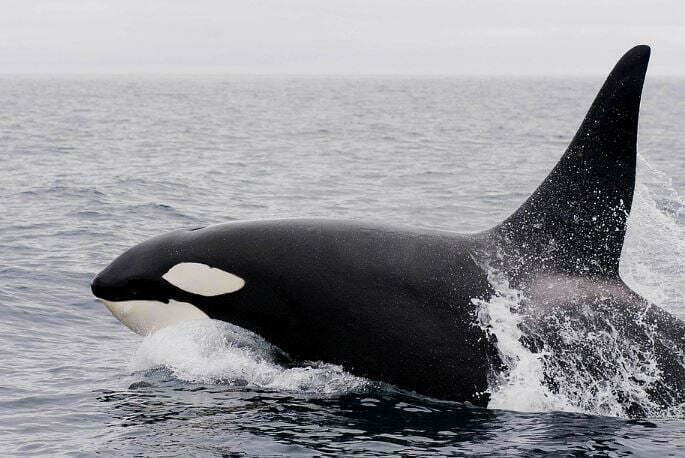 Despite their name, they are actually in the same Delphinidae family with dolphins and are the largest member of the family, though with other aquatic mammals, both killer whale and dolphin are in the same Cetacean order. Orca gets their notorious name from their ravenous eating habit. 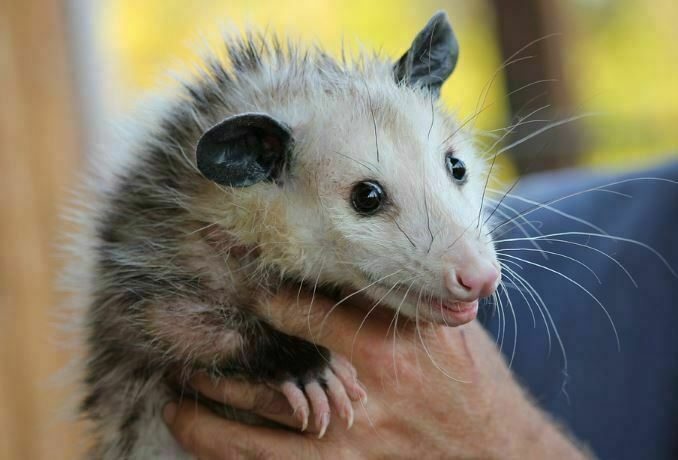 Opossum is a cute marsupial that lives mostly in the western hemisphere of the earth. They can be found in almost every part of the United States. There are generally two types of opossum, the one that lives on land and water opossum, or yapok, which has swimming and diving capability. Just like all marsupials, opossum has a pouch on their belly that functions as a cozy nursery for baby opossum when the mother goes out for hunting insects. On water opossum, the pouch is considered special because it can be made watertight, protecting the baby when their mother is swimming or diving. Of all wild cats, ocelot is perhaps the one that has the strongest resemblance with house cat in terms of shape, size and appearance; however, you cannot keep an ocelot as a pet because they are solitary and antisocial, they will not housebreak, and they mark their territory with urine. 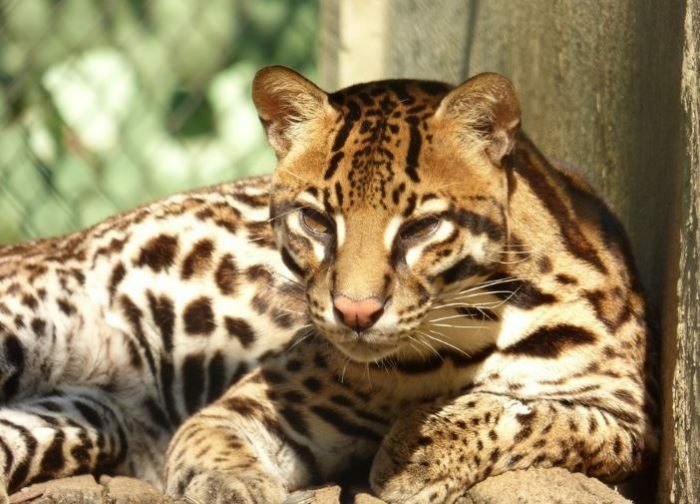 In the United States, ocelot lives in the southern Arid regions, such as Arizona and Texas, but they also have their habitat in South American jungles from Mexico to Argentina. Ocelots used to be hunted for their beautiful catlike skin, but now, though the hunting has not ceased yet, they are listed in the Least Concern category. Oryx is a horned antelope that is divided into three species, with gemsbok, which lives in the Middle East and Africa, being the most well-known. 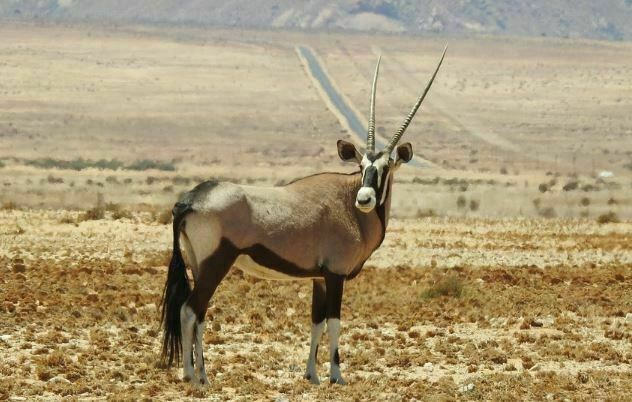 Although oryx is in the same Bovidae family with oxen, they are not domesticated; however, they are still considered prized hunting trophies due to their long straight horns and their unique facial marking, hence their designation as endangered species. In their native habitat, their population has dwindled significantly, with only some herds seen occasionally. Oryx is known as a swift runner and accurate thruster, which helps them survive from predator and hunter attacks. 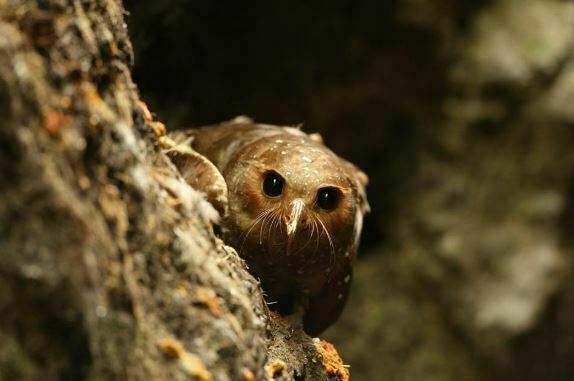 Oilbird is a bird native to the northern part of South America. They are found primarily in Trinidad. Their feather is generally reddish brown in color. The young of this bird have fatty body. In the past, their fat is extracted for cooking and lighting purpose, before being replaced by plant-based fat and oil as well as those from other animals. Olm is a species of salamander that lives deep in dark caves. 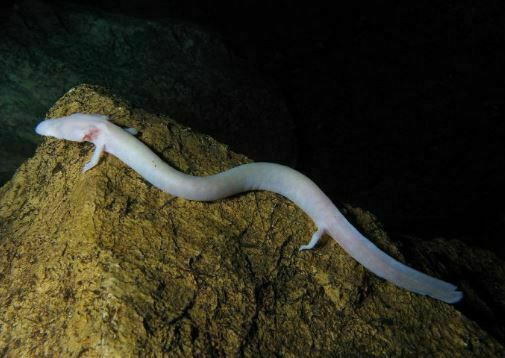 Olms are generally found in caves in southeastern European countries, near the Asian border. Because they live in complete darkness, they don’t have functional eyes. Along with their slender white body and smaller head and limbs. This sightlessness is the most striking characteristic that distinguishes olms from other salamanders, which generally have well-developed eyes. Although their eyes have become vestigial or non-functional, their eyes are still sensitive to light. This is why they tend to avoid well-lit areas where they will be exposed to danger. Osprey is a species of hawk that is distinguished by their dark brown and white feather. The pattern on their head gives even more distinguishing characteristic: white head with dark zoro-like mask. 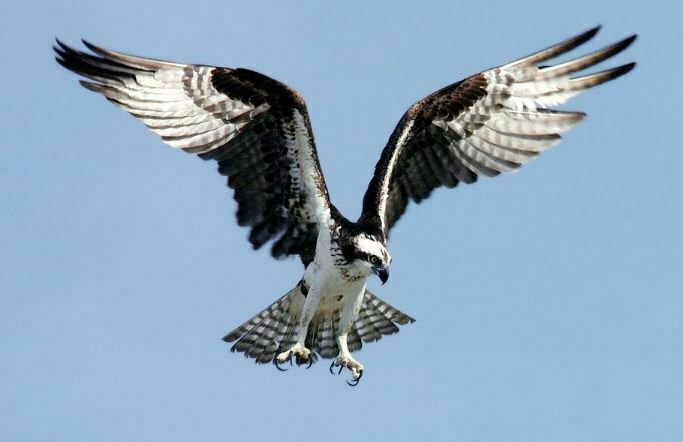 Unlike other hawks, osprey feeds only on fishes, hence their being called fish hawk. When hunting, osprey doesn’t hesitate to dive in the water, unlike hawks that only hunt by hovering. Osprey is a cosmopolitan bird that lives in almost every part of the earth. Some spiders weave sheet web, which can be either horizontal or vertical. Other spiders, on the other hand, weave orb-shaped web. The most common example of sheet weavers is house spider whereas that of the latter is garden spider. As the name implies, orb-weaver spiders weave an orb-like web that radiates from all of their six feet. The feet act as sensors that can detect even the slightest vibration. 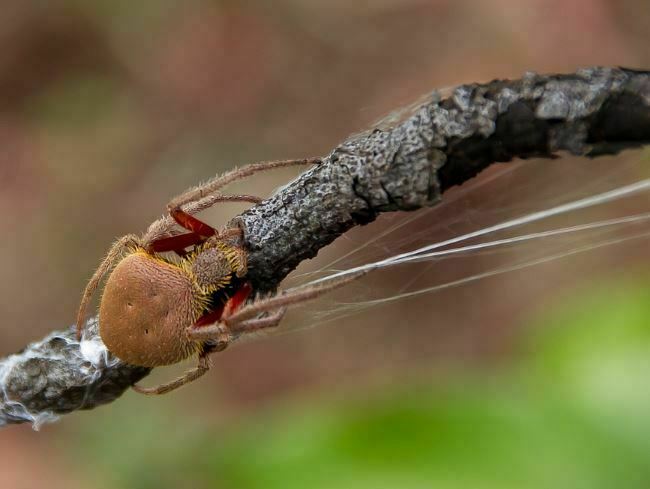 When an insect enters the orb and is trapped by the sticky web, the spider will immediately close the orb and bite their prey with a paralyzing bite. 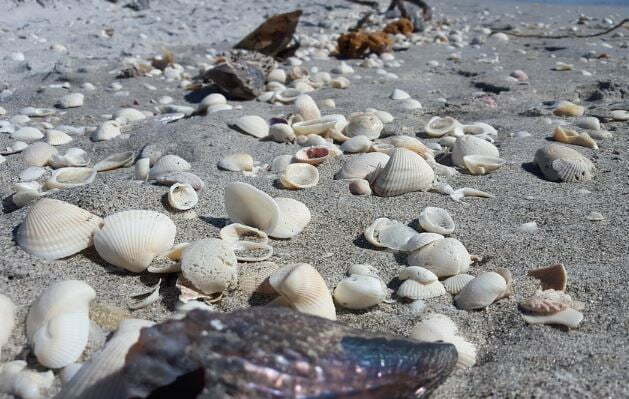 Oyster lives in both freshwater and sea water and it is a bivalve mollusk, meaning that it is an animal with soft body and a shell divided into two hinged valves. Oyster lives in almost every part of the world with more than 50 species that are edible. Oysters of the Ostreidae family don’t produce pearls. Pearl oyster, which produces pearl, is of a different family called Pteriidae. Although they share similar English name, taxonomically, they are different animals of different families and different orders. Owl monkey gets their name due to their appearance and habit. The facial feature of an owl monkey is very much the same with that of an owl, with round brownish eyes and white patches of hair surrounding them. Like owls, owl monkeys are also nocturnal animals who sleep at daytime and feeds at night—the only monkey with such lifestyle. 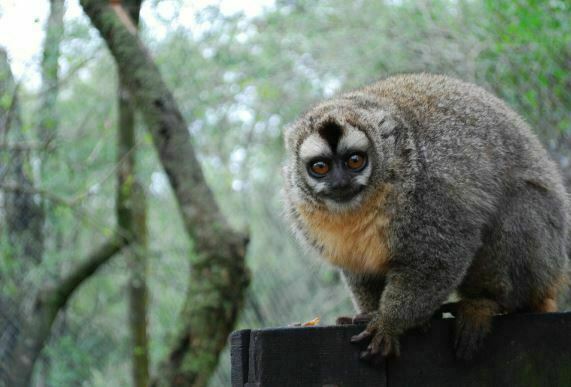 Owl monkey is also called durukuli or douroucouli and native to South American rainforests. Oarfish has an elongated body that resembles a ribbon. Attached along the length of their body is a red fin. This red fin connects to a crest on the head, which can be raised or lowered depending on the presence of threats or preys. 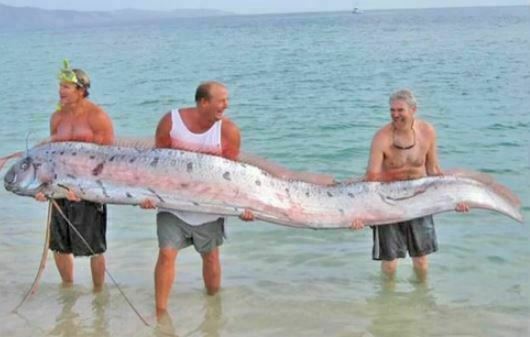 Oarfish lives in the open sea and swims like a snake. The sight of an oarfish swimming near the surface of water with their crest raised high is often associated with the sighting of the mythical sea serpent. There are many species of oarfish, but the most commonly sighted are the steamer fish and the king-of-the-herring fish.